This course uses a lab-based approach to introduce basic robotics concepts. The class will work as a team to design fabricate and test-drive a one-of-a-kind fully functional robot which will be entered into the annual Utah Regional FIRST Robotics Competition held each March at the Maverick Center. 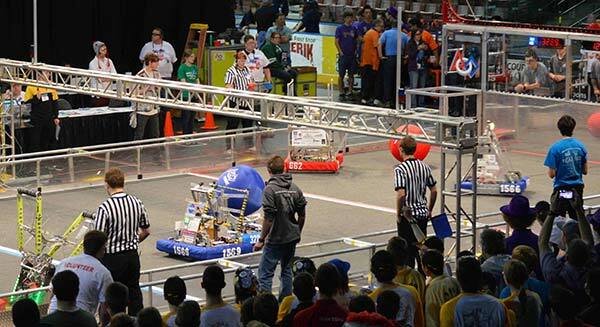 This competition is comprised of over 48 robotics teams with about two-thirds of the teams from Utah high schools and one-third of the teams from various western states high schools. This course provided opportunity to participate in one of the most prestigious STEM Technology competitions held in the United States. JD Robotics is always looking for local experts in STEM subjects. Specifically engineering, CAD, manufacturing, physics and more. You can donate your time and talent or help support us with a grant from your business. All support is welcomed. 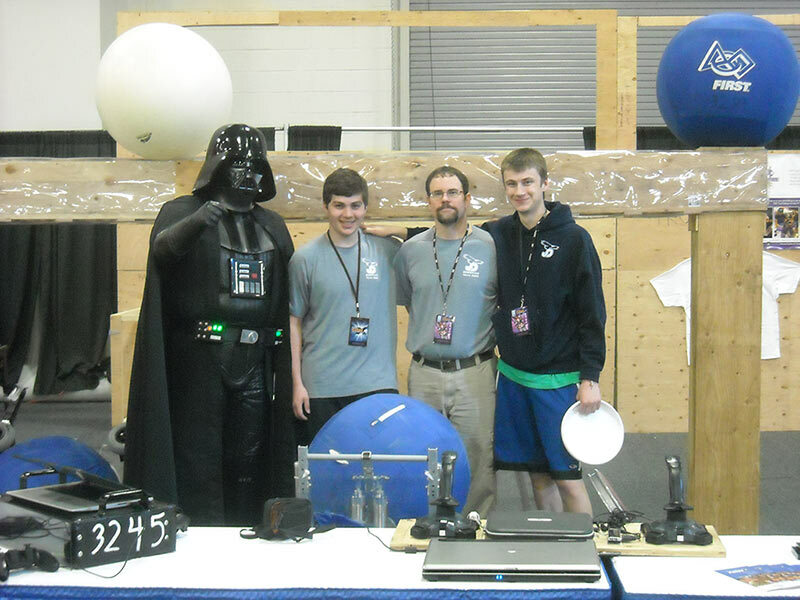 JD Robotics was invited to exhibit at the 2014 Salt Lake Comic Con FanX even April 17-19. We and the other teams took it upon ourselves to spread the word about FIRST Robotics and let some kids shoot the balls. We also found out that exhibit halls like the Salt Palace are a wifi mess. By switching to the 5Ghz band we were able to smoothly operate our robots and if a problem arose the "Auto Channel Select" feature of the D-Link routers on the robots would hop to an unused channel on reboot. Update: We made the video highlights from KidCon! We start to appear at 0:54 in the video below. Our season was a mixed one. 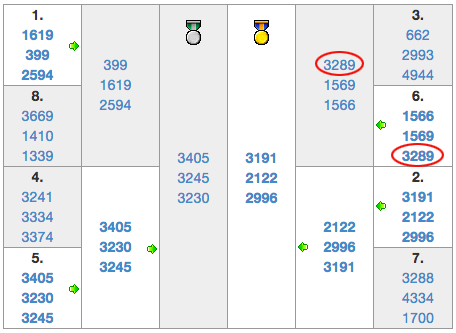 Where else can you you play an entire season's worth of matches in 3 days?! FIRST is an excellent organization that brings out the best in students and mentors. While we had a great robot that scored a lot of points we were on many alliances with unfinished robots. This had the effect of dragging down our rank but luckily the top eight seed teams saw through this and brought us into an unusual alliance of two defenders and us as the scoring bot. Much like the 2014 Superbowl, defense wins the game. This strategy got us as far as the 3rd best alliance in the region which included knocking out the #3 seed alliance. Thanks to the teams Haywire 1569 and Ammoknights 1566 for a great run this year.